Is it the water or the sand that makes Alabama Gulf Coast beaches so spectacular? Everyone seems to have their own opinion. But with miles of sparkling turquoise Gulf waters and stunningly white sand that`s so soft it squeaks under your feet, you don`t have to choose. Wondering where to plant your beach umbrella? You`ll find a variety of public beaches in Gulf Shores and Orange Beach, Alabama - each special in its own way and each offering a different experience. Try `em all and see which fits you best. Cast your line for deep-sea adventure! With some of the best captains anywhere to guide you on your voyage, Gulf Shores / Orange Beach fishing promises some of the best fishing anywhere. Alabama`s Gulf Coast is home to one of the largest charter fishing fleets on the Gulf with more than 100 experienced captains are ready to help you reel in the catch of a lifetime. Add to that the fact that we have the only trolling alley in the Gulf, the nation`s largest artificial reef and something biting year round, and you`ll find that any time is a great time to come play "hooky". Whether vacationing with family, escaping with the one you love or spending a week golfing with the guys, Alabama`s Gulf Coast offers the perfect balance of non-stop activity and lay-around-doing-nothing time. 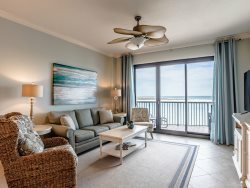 In between your relaxing naps on the beach, you can enjoy all the popular Orange Beach and Gulf Shores attractions. Take a lightning-fast ride down a water slide. Travel back in time with a visit to Fort Morgan, site of the Civil War Battle of Mobile Bay. Explore the back bays on an Orange Beach cruise to view wild bottlenose dolphin and other aquatic creatures. Visit your animal friends at the Alabama Gulf Coast Zoo. And don`t worry about wearing yourself out. You can always recover tomorrow with a siesta on a beach blanket. Ever notice how you find much cooler stuff to buy on vacation than you ever find at home? Maybe it`s something in the salt air. At any rate, shopping on Alabama`s Gulf Coast truly offers something for everyone. Whether you`re looking for cheesy Alabama souvenirs that the kids can take home or a closet-full of Hawaiian shirts for your husband, you can shop `til your credit card drops. In addition to Alabama gift stores, beach boutiques, art galleries, souvenir shops and furniture stores, you`ll definitely want to check out Tanger Outlet Center.